News aggregator Johnson's Russia List, popular among the Western analysts and specializing in Russia, is suspected of excessive loyalty to Moscow. According to BuzzFeed, resource demanded by journalists, scholars and analysts around the world, began to add to the mailing list disproportionate amount of news media and the Russian state thus imposes on its readers' opinion the Kremlin "on the Ukrainian events. Johnson's Russia List (JRL) - a news aggregator, focusing on developments in Russia. JRL collected a selection of daily news sent to subscribers by e-mail. In addition, the service publishes news about Russia in his account on Twitter, which is almost 7.5 thousand. Subscribers. Since the beginning of the crisis was the Ukrainian JRL include sending more content Russian state media and other resources that are sympathetic to the Russian version of events, according to BuzzFeed. Founder David Johnson resource actively entered into altercation with journalists on Twitter, when it came to the Ukrainian events. About a week ago he had deleted my account (@RussiaDavid) in the social network. The well-known British journalist Ben Judah, who worked as a correspondent in Russia and wrote the book "Fragile Empire. As Russia fell in love and out of love Puins ", told BuzzFeed, that with the development of the Ukrainian events JRL tape turned into a collection of" first-class materials of Russian propaganda. " "I stopped reading [JRL], because every day we receive a selection of the 20 best Russian propaganda materials, diluted notes Reuters», - he explained to the publication. Johnson refused to talk to BuzzFeed, responded that "no longer give an interview many years ago." At RBC request for comments Johnson also said he has a policy of avoiding interviews. However, he noted that JRL conceived from the beginning as a provider of information and analytics mainly of Russian media: "There is nothing in this respect has not changed - it is the" Russian list of Johnson. " By Ben Judah said, "a list of Johnson's" very popular among European politicians. "In 2009, I started working at the European Council on Foreign Relations [European Council on Foreign Relations, an expert center] as an analyst for Russia, and I immediately said to subscribe to the newsletter JRL, because" all brusie it is read, "- says Jude. David Johnson launched his Digest in 1996, shortly before the presidential elections in Russia. At that time it was the only source of information for people in the West, associated with Russia, because pretty soon earned the respect and in the academic world, and among journalists and politicians. JRL has positioned itself as a must read for students, teachers, government officials and journalists. In the description of the resource states that he is in demand, and in Russia and the former Soviet Union, as it helps to understand "how Russia is perceived abroad." . According to the statistics on the page likes organization Facebook, almost three thousand of its subscribers 35% live in the United States, 12% - in Russia, 6% - in the UK, 3.5% - in Germany. JRL - really authoritative edition: it indicates the list of recommended links many universities, where there are courses in Russian-American relations and Russian Studies, for example, the University of Oregon and University of North Carolina. "Russian leaf Johnit "is not a direct means of influencing public opinion in the United States, but the service is popular in the expert community that has a real impact on American politics. In fact, many foreign governments try to lobby their interests through expert opinion institutions, which primarily include the "think tanks", or think tanks. In early September, the newspaper The New York Times published the results of the investigation, during which found that almost all analytical organization whose opinion appreciate the American politicians - the Brookings Institute, the Center for Strategic and International Studies, the Atlantic Council and a number of others - have foreign sponsors. A special generosity show the oil-rich Middle East and European countries - the UAE, Qatar, Norway. In particular, CSIS Emirates contributed more than $ 1 million for the construction of a new building next door to the White House. Qatar in 2013 donated $ 14.8 million at the Brookings Institution, part of that money went to finance the Qatari branch of Brookings and on andssledovatelsky project on US relations and the Islamic world. Norway Center for Global Development has paid $ 5 million to the United States persuaded to double spending on the program of foreign aid. In contrast, law firms or professional lobbyists, think tanks are not required to register received from foreign agents, and politicians often do not know about foreign funding research that will certainly positioned as objective and unbiased. It violates the fundamental principle of the impartiality of such organizations, says New York Times. "If members of Congress use the report Brookings, they should be aware that in front of them is not the whole story," - said Saleem Ali, a visiting fellow Qatari Brookings Doha Center, which is in employment reported that criticize the Qatari government in research impossible. "It's not a lie - he adds - but certainly not the whole story." In 1997, future US ambassador to Russia, at the time a professor of political science at Stanford Universitéthat Michael McFaul told the newspaper The New York Times: «It turns out that even if you are in prestigious universities like Stanford, Harvard, or Columbia, you still will not be so easy to get this information." According to McFaul, Johnson's List really serious about helping Western scholars of Russia. "It is a paradoxical situation - noticed McFaul. - Academics heavyweights do not stop to talk to me that by "this thing» [JRL] need to stay away, but they read it. He read everything. " The New York Times called Johnson "obsessive observer of Russia." Johnson from the start trying to build your aggregator to spite America popular media such as NYT. For example, he said, the newspaper "demonized antieltsinskuyu opposition," which Johnson on the eve of the 1996 elections supported. Ten years later, in an interview with the Russian edition of The Moscow News Johnson said that was skeptical of Boris Yeltsin, and then to his successor, Vladimir Putin. Subsequently, a second opinion about the Russian Presidioie the expert has improved: "I am a supporter of opinion that Putin and Russia are drawn in the Western media is too dark colors." At some point dislike for Putin replaced Johnson sympathy: in 2005 he enthusiastically told the publication Washington ProFile a meeting with Vladimir Putin. "He is - an impressive personality with tremendous energy. He is free to talk on various subjects, "- he said at the time Johnson, noting the tendency of the Russian president to listen to the opinion of the international expert community. In modern Russia, Johnson has found himself after his Digest has become quite popular in the 2000s. He arrived in the status of "expert on the United States" in the event "Valdai Club" that visited at least three times - in 2004, 2005 and 2008. Now the "Russian leaf Johnson" calls itself a "project" of the Institute for European, Russian and Eurasian Studies at George Washington University. The university, located in the US capital, is renowned for being one of the most expensive schools in the Statex, and its graduates, among them - Jacqueline Kennedy and the 65th US Secretary of State Colin Powell. 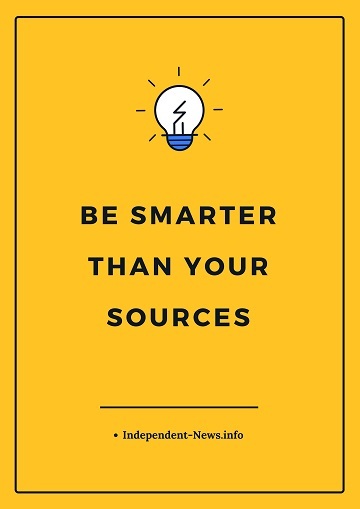 Director of the Institute Peter Rollberg not agree with the claims of bias on the topic of the resource, as he told BuzzFeed. According to him, Russia's state-run media are necessary antidote to the American media. "Speaking on the inclusion of certain articles in the newsletter, I think David Johnson provides a platform for views that hardly represented in the information flow in the United States, and in this I agree with him," - said Rollberg edition. The mainstream media occupy a very simplified position in relation to Russia and the actions of Ukraine, believes Rollberg, although this is a very difficult question. "In this context, the activities of JRL and the values ​​and priorities of the university as an academic organization fully coincide," - he said, adding that the university does not affect the content of the mailing. The university does not fund Johnson resource that exists on donations, particularly from the charity fund MacArthur and Carnegie Corporation (Carnegie Corporation of New York), h contributionsbearers of. The Federation Council on April 29 is to consider amendments to the anti-terrorism legislation, equating popular blogs and personal websites to the media, and requiring Internet companies to place servers in Russia. As in the case of the adoption of the law will be implemented, it remains unclear. Roskomnadzor, with responsibilities for drawing up lists of popular websites and monitor implementation of the law, claims that he at least has developed sites for counting attendance system. But there is a question of law subject to foreign social networking sites and search engines that are hardly willing to place their servers in Russia. Meanwhile, the obligation placed on the national territory of the servers - not a Russian invention. Such requirements exist in Vietnamese law. But equating popular bloggers in the media long before they talk about it the State Duma, discussed in Belarus. RBC learned how to operate the state of the Internet restrictions in other countries and what ways to circumvent existing bans have citizens. For the Ukrainian media space crisis led to an unprecedented radicalization of opinion on both sides of the "barricades". In the West, against the background of "black and white" presentation of information the principle of even more distinguished representatives of "Smart Layer" - writers and journalists - consistently critical of the conventional wisdom. And in "Putin's apologists" are not only long-term violent supporters of the Kremlin, but more moderate commentators who disagree with the rhetoric of the West. The economist Paul Craig Roberts is one of the most ardent advocates of Russia and Vladimir Putin in the United States. It is often called one of the fathers of Reaganomics, although he worked as an assistant US Treasury for economic policy less than a year - since the beginning of 1981 to January 1982. Roberts actively criticizes economic and foreign policy of the USA, was an opponent of the war in Iraq and the challenges the official version of the terrorist attacks September 11, 2001. At Roberts' extensive andkademichesky and journalistic background is: he worked as a senior fellow at the Hoover Institution at Stanford University, the Center for Strategic and International Studies (CSIS), the analytical Cato Institute, worked as an editor and columnist at The Wall Street Journal, Business Week, Foreign Policy Journal, published in other publications . He is a frequent commentator in the Russian media - "RIA Novosti" and RT. Roberts actively writes about Ukrainian events, claiming that Washington deliberately supports aggressive rhetoric to unleash a conflict with Russia. The expert has repeatedly accused the US government of lying. Roberts Pretty emotionally reacted to the recent Valdai speech of Vladimir Putin, the Russian president called "the moral leader of the world." "This is it humane political leader, whom I have not seen in my lifetime," Roberts wrote in his column, adding that the Western media almost deliberately ignored Putin's speech, addressed to the world community. Aleksandr Rahr is one of the most active supporters of Russian President Vladimir Putin in a public space in Germany. Rahr really did a lot for the development of Russian-German relations, for which in 2003 was awarded the Order "For Services to the Federal Republic of Germany." He is the scientific director of the German-Russian Forum - a private area, serving for the development of social dialogue between Moscow and Berlin, as well as a member of the Valdai Club. Rahr personally acquainted with the Russian president and the media wrote a lot, he was one of the mediators in the negotiations for the release from prison of Mikhail Khodorkovsky. Rahr said that the West has missed the time to negotiate with Putin on Ukraine when it was most likely to do - before the Olympics, and after joining the Crimea to Russia German Chancellor Angela Merkel did not want to compromise, which led to a deterioration in Russian-Western relations. In addition to the political and journalistic activities, Rahr advises German gas company Wintershall (Partnership with the Russian Gazprom) and the President of the Russian-German vneshnetotraction Chamber. Expert of Russian language edition of Steven Cohen New York Magazine, The Daily Beast, and many others referred to as "an apologist for Russia's number one." A descendant of emigrants from the Russian Empire, Cohen began to show interest in Russian culture and politics as a student, when I went to the monthly training in the Soviet Union. Sticking left-liberal opinion, from the pages of American magazine The Nation, he criticized Brezhnev's "stagnation", but later admired Gorbachev's reforms and became a good friend of the first President of the USSR. After the collapse of the socialist camp, he focused on academic work: teaching course of the history of Russia since 1917 at New York University. In addition, Cohen is a professor at Columbia and Princeton universities. Calling himself the "American dissident", with the beginning of the crisis Ukrainian Cohen has come under fire from the media. The greatest controversy has caused his statement that Ukraine is not a full-fledged country: "By the time the crisis began in late 2013 in VKrajina was the state, but there was not a single country and a single people. " Publications Cohen in The Nation appear regularly accused of Kiev address on the Ukrainian army brutality, injustice indicate Washington's sanctions and a reproach to Western media coverage of the unilateral information. Attacks on yourself, he explains, "neo-McCarthyism" and an attempt to divert attention from its own policy mistakes. Italian journalist and politician, Chiesa known fact that about a quarter of a century advocated the point of view of the Russian authorities in the West. A native of northern Italy, at the age of 30 years joined the Italian Communist Party, led by the regional party cell. Since 1980 he worked the Moscow correspondent of the party newspaper L'Unita, later joined the left-liberal version of La Stampa. During the years of "perestroika" in collaboration with the historian Roy Medvedev, he has written several books on the progress of the Gorbachev reforms. A career journalist Chiesa continued in the 1990s. In 2004 he was elected to the European Parliament on the lists of the "Alliance of Liberals and Democrats"But soon moved to a fraction "of the European Socialists", citing his political past. In 2009, he ran for "number two" on the list of pro-Latvian party "ZaPcHeL", but the movement carried out in the European Parliament is only one candidate. Chiesa is a consistent anti-American, self-conspiratorial character of the terrorist attacks September 11, 2001. In 2008 he supported the position of Russia in the Georgian-South Ossetian conflict. "Tbilisi is carefully preparing for the attack on Tskhinvali, Moscow was forced to come to the aid and to reflect the impact", - he said then. Since the beginning of the crisis Ukrainian Chiesa warned politicians from launching World War III: "Russia, its experience, its position in the global information no mainstream. She appears on the agenda only when it can be described as a threat, and this attitude is constantly increasing. " Chiesa has repeatedly called for an international investigation of possible crimes of Kiev and Odessa supporters in the Donbass. Professor Chikagskog rightsUniversity specialist in international and constitutional law, the author of several books, a columnist for the American online magazine Slate. In March 2014 Posner in his notes in his personal blog and columns in Slate expounded the position that corresponds to the Crimean referendum law to self-determination, enshrined in the UN Charter. No rule of international law does not prohibit a territory separate from the other, the professor emphasized. After the referendum took place, Posner wrote: "It does not matter that the referendum did not allow voters to express preference for the status quo, there was no international observers that may have been used ballot stuffing that Russian soldiers and / or pro-Russian militia patrolled the streets - enough that it was not violence that Western journalists were free to move around and talk with a lot of ordinary people, who strongly supported the separation, and that the outcome of the vote was broadly consistent with the demographic realities and preferences of the majority of the Crimean people. " This Posner did not dispute the fact that the presencetvie Russian armed forces affected the situation and probably violates the agreement on Black Sea Fleet and the UN Charter. Already in June, the lawyer acknowledged that Russia on the amount of factors violated international law by using its troops in the Crimea, but advocated a pragmatic approach. International law is violated frequently, and not only Russia, but sanctions that the West against Moscow introduces not return Crimea to Ukraine, but hurt by the Western economies. "There are a variety of evidence that the sanctions are effective only when almost all countries are united against a relatively weak country. It is not suitable for Russia: it is not a weak state, and China and India have taken her side, "- Posner explained.